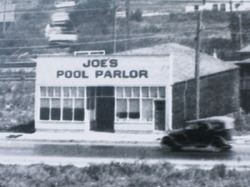 Artichoke Joe’s Casino is located only three miles from the San Francisco International Airport. The progressive jackpots keep the adrenalin flowing fast – and a high-definition video system by Dallmeier keeps the necessary security tight. When Joseph Sammut opened his pool parlour and phone exchange in 1916, most calls were about horse races. Joe accepted any bet, regardless of how high the stakes. When asked how he would pay out high odds if he lost the wager, he responded, “In artichoke leaves.” That is how, in 1921, “Artichoke Joe’s” got its new name. 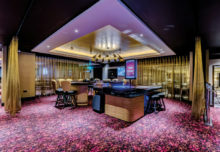 Today, Artichoke Joe’s has developed into a casino over 20,000 square feet (over 1,800 m2) in size, with 38 gaming tables, one restaurant and a sports bar. The casino, which is still family owned and has become a permanent fixture in San Bruno, California, never closes, opened 24 hours a day, 365 days a year. In 2011 the existing analogue CCTV system was to be replaced with ultramodern HD technology. On the recommendation of a casino consultant, those responsible for security and surveillance at the casino turned to the German video experts Dallmeier, present with their innovative products on the North American market for more than ten years. Dallmeier, developers and manufacturers of professional video security and surveillance systems, offer holistic solutions for professional video surveillance systems: from high-resolution camera technology through extremely high-performance recording hardware on to intelligent video management systems. Moreover, Dallmeier employees are also experts when it comes to providing the best advice to casinos and planning an individual, custom video security and surveillance solution. “The image quality of the HD cameras is unbelievable!” says Vincent de Fries, Surveillance Manager at Artichoke Joe’s. The casino has installed vandal-resistant dome cameras that supply HD video in real time in the H.264 format, the most modern standard to date for high-efficiency video compression. In addition to extensive functions for automatically and manually optimising images, the cameras are equipped with many additional configuration possibilities specially configured for demanding applications in the casino sector. The cameras can be run conventionally with 12V DC or with more sophisticated Power over Ethernet that enables quick, easy and cost-effective installation. The fix dome cameras are supplemented with several high-speed PTZ cameras with 10x optical zoom and full HD video (1080p). The video is recorded on several DMX 2400 Smatrix, a VideoIP appliance with integrated storage system. The DMX 2400 excels with its space-saving construction, expanded storage capacity with maximum data security. The entire video system is controlled through a professional and extremely efficient management system, the SeMSy Security Management System. Workflows and complex manoeuvres can be deposited in the system, allowing for very easy and intuitive operation by personnel. The graphic interface provides every user with a quick overview of the cameras and associated monitors. “The GUI is really simple to operate,” confirms Vincent de Fries, “something which, in addition to the high image quality of the cameras, was one of the main reasons for the decision in favour of Dallmeier.